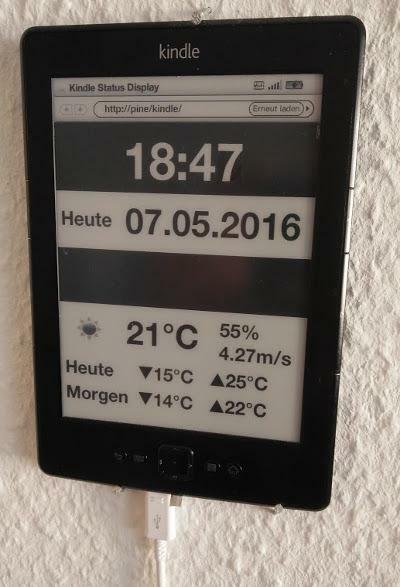 I used a Kindle4 as status display some time ago. For some months this display was without power and I was to lazy to fix it. My solution in 2014 rooting and image generation is nowadays too complicated. Ciko from my local hackerspace solved the problem in an easy way using the buildin webbrowser of the Kindle 4. No rooting required.